Now if you’re like me when you first found out about packing cubes you were thinking to yourself, why would anyone want or need these but let me tell you that packing cubes have changed the way I travel, forever! 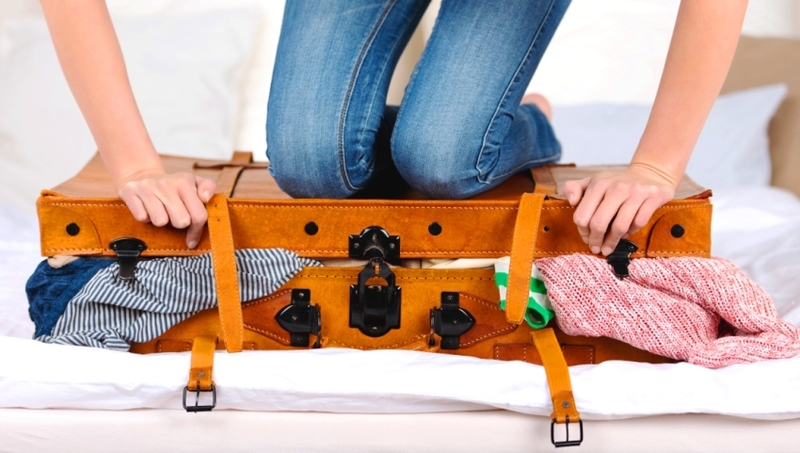 Packing cubes have revolutionized traveling with such a simple concept by allowing you to essentially compartmentalize your suitcase like it’s your dresser from home. Plus it makes traveling with only a carry-on much easier and you’re not having to cram everything into the suitcase to make it fit. For this packing cube post we looked at 8 different, very well selling, packing cube sets to figure out which ones were worth it in the end. Most packing cubes are very similar and don’t do much difference but its small nuances that make or break a product. 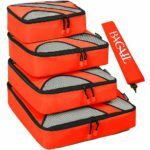 These packing cubes are not the end all be all of packing cubes and all of these sets come in small or greater quantity of packing cubes but we just picked a random assortment of packing cubes that have either sold well or were previous best sellers on Amazon. Large: 17" x 12" x 4"
Medium: 13" x 9" x 3"
Extra-large: 17.5" x 12.75" x 4"
Large: 13.75" x 12.75" x 4"
Medium: 13.75" x 9.75" x 4"
Large: 17.5" x 12.75" x 3.25"
Medium: 13.75" x 9.75" x 3"
Small: 11" x 6.75" x 3"
Large: 15.7" x 11.8" x 4.7"
Medium: 11.8" x 11" x 4.7"
Medium: 11.8" x 10.6" x 4.7"
Large: 14" x 10" x 3"
Medium: 10" x 7" x 3"
What is it: This durable 5 piece weekender set is the TravelWise packing cube system. It’s Amazon’s best seller for packing cubes and has been since they were first available three years ago. The packing cubes are offered in 4 different colors to choose from, black, teal, purple and red. 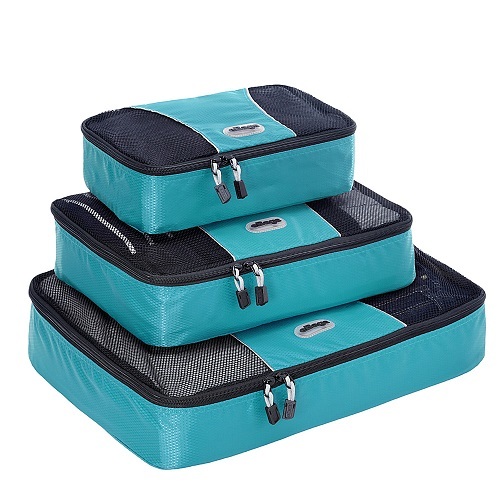 Concerns: There’s one small concern that might creep up on you if you decide to go with these packing cubes but it has to do with the zippers and seams. While most people find everything to work correctly there were a handful that had problems with the mesh starting to come undone after many trips. The zippers are sometimes a little difficult to use but well built. Last thoughts: The TravelWise packing cube system has done a lot well with very few areas of concern. Although no packing cubes are considered expensive these would fall in a medium price range and for the costs these are tough to beat. And if you do have a problem just contact TravelWise and they will make it right! What is it: This is the Shacke Pak 4 set packing cubes with laundry bag. 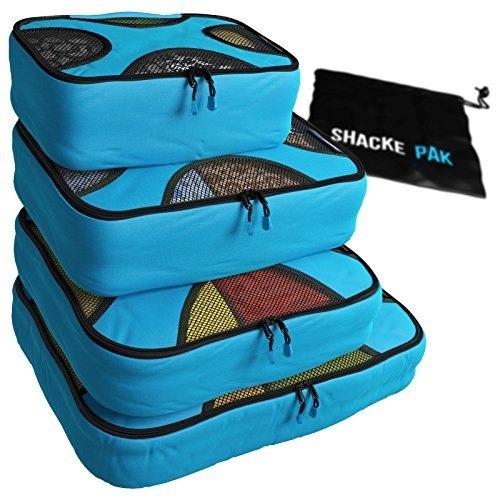 As Shacke Pak’s name implies they focus on travel gear and make excellent packing cubes. When comparing different packing organizers Shacke Pak is always in the running. Shacke Pak offers their 4 piece packing cube set in 7 different colors that include aqua teal, black/blue, green grass, precious pink, orchid purple, mandarin orange and warm red; all excellent options to choose from. Concerns: The packing cubes do unfortunately come with a distinct smell when you first receive them so you will want to make sure that you either let them air out or was them. Unfortunately the packing cubes are not machine washable. Instead they are to be hand washed with soap in cold water and left to air dry. Sadly not all packing cubes can be machine washable. Last thoughts: These Shacke Pak cubes are excellent for packing more than you normally could. They are built with an X design and double stitching which reinforces the lid to keep your clothes in place and prevents fewer wrinkles. It doesn’t hurt either that with all the extra room you’ll save they decided to throw in a laundry bag as well to keep your dirty clothes separate from the fresh ones. 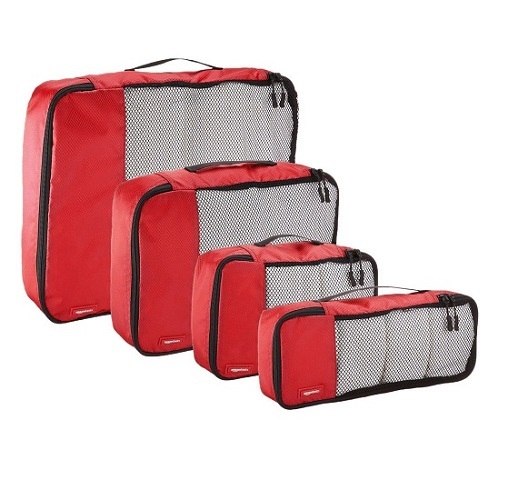 This 4 pack from Shacke Pak will provide you with easy organization for years to come. What is it: This is the 4 packing cube set by Bagail. Another highly rated packing organizer set that provides excellent travel gear organization in 9 different colors to choose from. These are black, blue, dark blue, fuchsia, green, navy, orange, purple and red. Concerns: There’s really nothing wrong with these packing cubes but to point out the only issue and it’s a nonissue, is the fact they are a little heavier. However, the slightly heavier weight really shouldn’t be a factor when deciding unless you look towards the weight of your carry-on down to the ounce. Last thoughts: The reason the Bagail packing cubes are slightly heavier is because they are made with a little thicker material to give them slightly more durability. 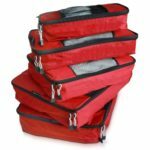 These are also very inexpensive packing cubes and well worth the consideration. What is it: This is the AmazonBasics 4 piece packing cube set. A very popular packing cube set that provides great visibility of your contents that are packed and a few colors to choose from. These include black, blue, gray, green, red and sky blue. Features: These packing cubes are made with soft mesh that won’t damage any of your contents. Amazon is doing their own thing again here and providing their take on packing cubes but let’s see what other features these cubes specifically have to offer. Concerns: Be wary of what colors you choose and where you leave your bags and/or luggage. If your packing cubes get soaked they can bleed their color onto your clothing which will ruin them. This did not happen with the black or gray bags so take this into account when deciding what color to get. Lastly the zippers on here are not that great. They are poorly made and can potentially start pulling away from the fabric and breaking down after only a couple trips. Last thoughts: The bags seem to be made of great quality and are very durable although I’m not sure that the zippers will hold as long. The color bleed is also a slight concern if you end up leaving your luggage in the rain. The AmazonBasics packing cubes are just slightly smaller than most other packing cubes available which might be good for some depending on the size of their luggage but if I’m going to pay almost the same price as other packing cubes I would like them to be larger and not have the previously mentioned issues. What is it: This is the 4 piece packing cube set by eBags. Ebags is one of the more popular and well known options on this list. They are known for all types of luggage at decent prices. Concerns: These packing cubes by eBags are well made and I’m unable to see any concerns with them. The only issue if you want to call it that is that they are slightly more expensive than most of the options on this list with the exception of Eagle Creek. Last thoughts: ebags packing cubes are a great choice if you’re looking for complete functionality without any issues or concerns. Made of Techlite Diamond Nylon the eBags packing cubes are extremely durable. If for any reason there is an issue just utilize eBags lifetime warranty! What is it: These packing cubes are made by Mossio and they include a separate shoe bag! Mossio is one of the most cost effective packs you can select and do a surprisingly good job of it. 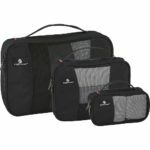 Features: These Mossio packing cubes are offered in many colors except the one you would expect, black. They have dark blue, dark pink, grey, light blue, light pink, orange, rose red and wine red. Let’s see what other features they have. Extremely lightweight, it avoids adding any extra weight to your luggage. Concerns: Although the zippers are YKK zippers there have been a number of reports stating the zippers on these bags are not the best and clearly the weak link of this product, it’s only a handful of issues out of countless orders shipped. Last thoughts: Although the product does a lot right, issues with zippers are always a concern. With such lightweight material it adds no noticeable weight to the luggage and does a great job of containing your clothing in convenient sized cubes. A great price for the whole set is tough to pass up. What is it: This is the HiDay waterproof packing cube set that consists of 3 travel cubes, 3 pouches and 1 shoe bag that can also be used as a separate laundry bag. HiDay offers this set in 5 different colors for you to choose from: blue flower, navy circle, navy flower, pink flower and wine flower. Features: This 7 set packing cube set allows you to organize everything you want to bring with just these few packing cubes. The mesh top design allows you to see through to locate your belongings without having to open the cube and search through each one. Concerns: The zippers give a reason for concern. If there is any issue on these packing cubes and pouches it is with the zippers. Though they do a fair job the zippers don’t look strong enough and don’t appear to be higher-quality zippers. Last thoughts: The construction of the HiDay packing cubes utilize thicker polyester fabric that provides great resistance to tearing and waterproofing. It also helps with keeping your clothes wrinkle free and protecting them from dust and damage. With the excellent choices of colors to choose from and the lowest price set of packing cubes available these are a consideration along with the 7 set Mossio packing cubes as well. What is it: eBags may be the most popular luggage brand on this list but Eagle Creek is one of the highest rated and for good reason. Eagle Creek creates incredible products that are built to last and are good looking as well. Features: Eagle Creek’s “Pack-It” 3 piece packing cube set is offered in 5 colors for you to choose from that include black, blue sea, red fire, repeal tan, repeal red and daisy chain blue. Let’s see what features Eagle Creek brings to their packing cube set. Concerns: The only concern that comes with these packing cubes is that they are slightly small. Sure they can be a perfect size if you don’t pack a lot to begin with but if you bring a ton of clothes then these might be a little tight. Last thoughts: Being created with 300 denier polyester micro-weave makes these packing cubes exceptionally strong and durable and perfect for multiple trips without worry of fraying or tearing. Eagle Creek is known for providing quality products and their pack-it cubes are no exception. Every part of their product including zippers, fabrics and buckles are selected only after being tested for their durability. When it comes to material there are a few things you’ll want to take into consideration. Firstly you’ll want to look at the durability of the material. Is it a flimsy cheap material that easily tears or is it a more durable higher count denier nylon or polyester? Second, does the packing cube include mesh or some sort of breathable material that not only allows your clothes to stay fresh and not absorb the smell of the packing cube but also allows you to see through to find what you need without opening the cubes? Then there is the issue of weight. This is not as big of a deal for most travelers but for those that weigh their luggage they want to make sure the material they are using is ultra-lightweight so as not to add any noticeable weight to their luggage. This helps avoid any surprises at the airport for overweight luggage. Finally we want to take a look at the zippers and stitching and make sure they are reasonably well made. Now YKK zippers are regarded as the best in the business but there are plenty of other zipper companies that make equally competent equipment. Now some people might wonder why I bother including small packing cubes on here but obviously bigger is not always better when it comes to travelling. That applies to luggage as well as the packing cubes that go inside. The reason for this being that some packing cubes might actually be too big for the piece of luggage you are trying to take with you. Which is why we not only looked at sets with varying sizes of packing cubes in each set but different sizes amongst the sets themselves. What might work for a traveler who is using a bigger checked piece of luggage or even a larger carry-on might not work for someone who is only bringing a smaller weekender bag or duffel bag. There are many more options in regards to sets than what are simply listed here and you can find individual cubes as well if needed. They even have sets of 10+ packing cubes, it just depends what you are looking for but whatever it is, I’m sure it’s out there. Overall, prices for packing cubes are not that expensive and most you can get for under $30. However there is a difference is what you get vs what you paid for. 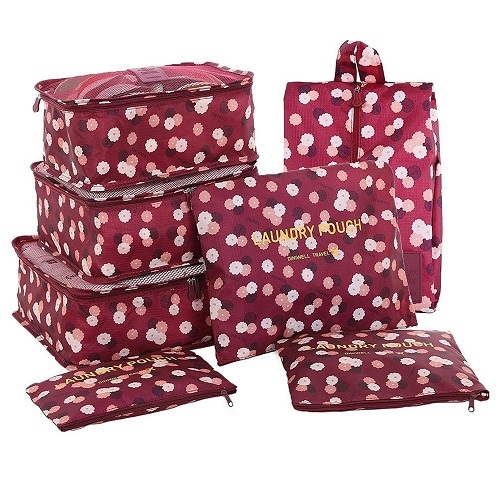 In this list there are packs of 7 cubes, pouches and shoe bags that are much cheaper than the 3 piece sets and this is simply because of the quality and name recognition of the other sets. I’m not going to tell you that you should buy the highest priced ones just because they are not expensive because what I consider expensive or inexpensive may be wildly different from what you consider to be expensive or inexpensive. There is a plus side to purchasing some of the smaller packs though. Even if you are going for say a set of 8 or 9, there usually deals where you are able to buy a couple packs and get a nice little discount for purchasing multiple sets, just keep that in mind. Packing cubes sound useless until the first time you use them. Before I purchased my first set I simply rolled my luggage and thought nothing else of it. But once you use the packing cubes they are extremely useful and I wouldn’t go back to packing without them. 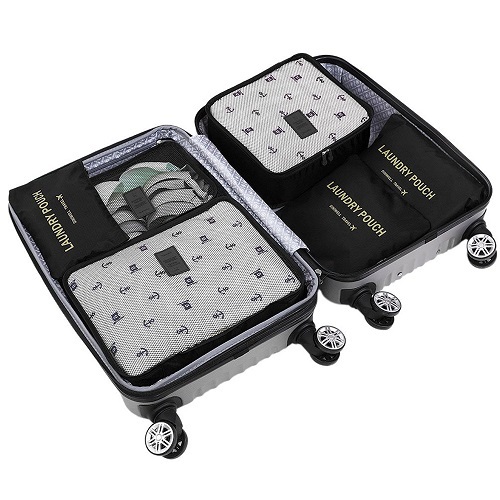 It’s basically creating separate storage for your clothing so you can separate what you need and keep everything evenly organized without a mess of clothes going everywhere inside your luggage. Simply pack your undies and socks in one, pants and shorts in another, and shirts in the final one. Before you know it, it’s like having your dresser with you on the trip. Each packing cube on this list has something to offer, whether it is more colorful options to choose from, different types of cubes, pouches and bags or even just a price difference that justifies spending your hard earned money on packing cubes. Overall we gave eBags the Top Choice award because they did everything so well and their lifetime warranty is a great perk to have with any kind of luggage. The Bagail gets our Best Buy award because the price of the packing cubes for what’s offered is simply too good to pass up. Now Eagle Creek could have easily have been our Top Choice as well but there can be only one! If you have any recommendations or comments of your own regarding packing cubes be sure to let us know in the comments section below!